In February 2016, almost a century after Albert Einstein first predicted about gravitational waves; astronomers detected ripples in space-time that resulted from the merging of two black holes. This striking discovery validated Einstein’s general theory of relativity. Since the discovery in February, the Laser Interferometer Gravitational-Wave Observatory (LIGO), has observed three gravitational wave events. From this data, researchers have reportedly found evidence of ‘echoes’ that go against Einstein’s black hole prediction. The current discoveries are published and readily available on ArXiv.org for other physicists to review. The main challenge with these claims is a lack of crucial 5-sigma error margin (the gold standard in physics). According to Steve Giddings from the University of California, the LIGO detections offer new perspective forms of investigation. Einstein’s theory will only get validated should the echoes disappear. Einstein’s theory of relativity explains the black hole information paradox. According to the traditional line of thinking, not even light can escape a black hole. However, quantum mechanics find fault in the definition of a black hole. Physicists and scientists are walking towards finding an event that will satisfy both general relativity and quantum mechanics. Physicist Stephen Hawking has a hypothesis that black holes are surrounded by ‘soft hair.’ The hair being low energy quantum excitations. Hawking and Einstein’s hypotheses are not the only ones. The LIGO team is limited in not being able to test any of the existing ideas. However, echoes have been detected at 0.1, 0.2, and 0.3 seconds following the initial gravitational wave burst. These three gravitational wave bursts are only a tiny sample size. They’re chances that the echoes are some kind of background noise. 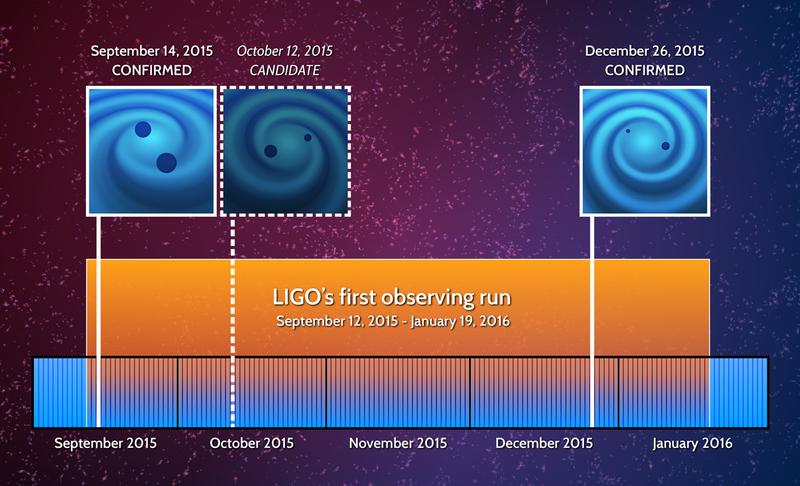 New LIGO data is due soon and will help confirm or rule out hypotheses in the coming two years. In the meantime, echoes are yet to be confirmed, and the fuzzy boundary black holes explained. Whatever the future holds, there is no denying that 2015 was an exciting year for physicists.